As part of the campaign, leaflets outlining harm reduction messages for MDMA, ketamine and cocaine will be distributed to third level students across Ireland. Social media has become one of our most important channels to directly communicate with our target audiences. A bespoke social media partner pack with sample tweets and new images has been developed and shared with our partner agencies. There are always risks when taking drugs. It is always safer not to use at all, but if you do, follow harm reduction information to help reduce the harms. Can you trust the dealer? The risks are increased if you buy from an unknown person at an event. What’s in the pill or powder? Don’t assume you know the content based on what you are sold. 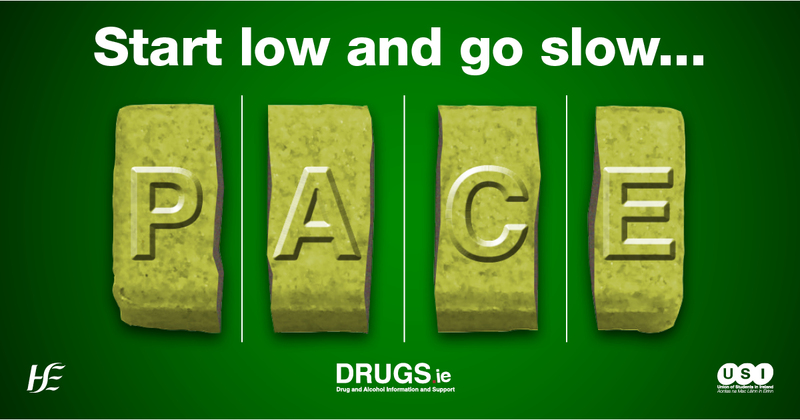 Start low and go slow - start with a very small dose to see how you react to the drug. Wait at least 2 hours before taking more. 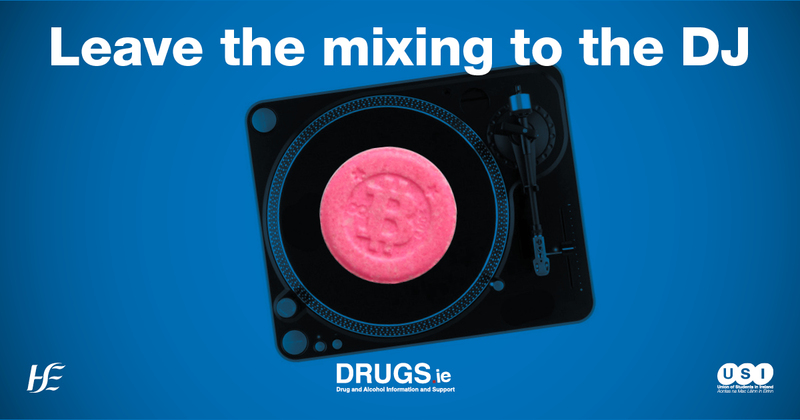 Leave the mixing to the DJ - mixing drugs increases the risk of becoming unwell or overdose. Don’t be afraid to get help - if you or a friend becomes unwell after taking drugs you should get help immediately. Know where to go in the venue or call 112. Always be honest about what you think was taken. Emergency services are there to help.